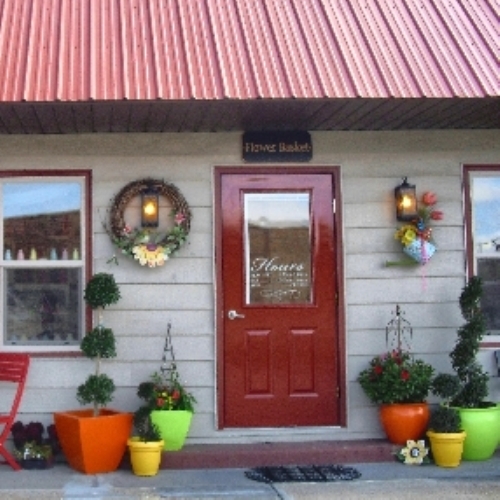 The Flower Basket is a full service florist, doing business in Glendive. We are happy to fill all of your floral needs. We are thrilled you chose us to help you give a beautiful gift. *Our shop is open from 8:30 a.m. to 5:00 p.m. Monday through Friday We are closed on Sundays. To help assure on-time delivery during the busy holiday season, place your order at least 2 day(s) prior to the following major holidays: Thanksgiving Day, Christmas Day, New Year's Day, Valentine's Day, Easter, Administrative Professionals Week, Mother's Day, Memorial Day, Father's Day, Independence Day and Labor Day. Our shop will always be closed on the following holidays: Thanksgiving Day, Christmas Day, New Year’s Day, Easter, Mother’s Day, Memorial Day, Father’s Day, Independence Day and Labor Day. We serve Glendive, MT. If we can't deliver we will gladly call and have your order picked up. We serve Silha Funeral homes, Glendive Medical Center and Extended Care. Eastern MT. Veterans home, The Heritage on Merrill and Grandveiw retirement home. We specialize in the following services: Large inventory of fresh flowers Plants High-style floral arrangements Silk arrangements Weddings Funeral designs Gift items Personalize Specialty services provided by The Flower Basket Though we try to keep a large inventory of flowers and plants on hand, once in while, especially for funerals, we don't have time to get something special in on time. We will contact you for a substitution unless you allow a 2nd choice as similar. If you have any questions or need more information, please call us directly at (406)377-5615. We're always here to serve you and make your flower-sending experience a pleasure. A local delivery fee starting at $6 to $10 will be added to each order, for each address. U.S. orders must be received before 1:00 p.m. in the recipient's time zone to assure same-day delivery. Orders received after that time will be delivered the following day. We will do our best to accommodate deliveries at specific times of day, but we cannot guarantee it. We are unable to make deliveries on Sundays. Deliveries requested on this day will be delivered the following business day. Delivery of orders to rural route addresses or cemeteries cannot be guaranteed. We will be happy to accept your international orders if you call our shop directly. We are unable to accept international orders over the Internet.